In public, they are brimming with fury and indignation at the Independent Commission Against Corruption. To a man, they all cry they have done nothing wrong. Yet privately, the Sydney businessmen hit with corrupt conduct findings by NSW’s Independent Commission Against Corruption – Travers Duncan, John McGuigan, John Kinghorn, Richard Poole and John Atkinson – must be ruing the day they ever did business with Eddie Obeid. Were it not for the poisonous Obeid, the light may never have shone their way. They could even have been another $60 million richer, apiece, with reputations intact. Instead, the sale of their Cascade coal licence for $500 million has been scotched. It had cost them just $1 million. And even worse than the fact that they still owe Eddie Obeid $30 million under the deal they struck to get him out of Cascade, their reputations are in shreds. This week, however, the week in which ICAC handed down its report on corruption in NSW, will be their nadir. This is as bad as it gets. It is unlikely that any of the five will ever spend a day behind bars. Each has the financial muscle to appeal, contest and counter-claim in the court system for years. Some wrist-slapping civic penalty would be the extent of their punishment. Even procedural challenges could tie up the DPP or any regulator for years. The regulator, the Australian Securities and Investments Commission, to which the cases have been referred by ICAC, know this only too well. Although the public outcry for prosecution against the Obeids and Ian Macdonald should ensure there is action in the courts, the greatest achievement of ICAC may well be that it has, to a small degree at least, satiated the public’s lust for white-collar blood. It is a matter of public frustration that, despite the dozens of billions of dollars lost and stolen since the financial crisis, very few, if any, high-profile heads have rolled for it. Duncan and Kinghorn between them are worth more than a half a billion dollars apiece. 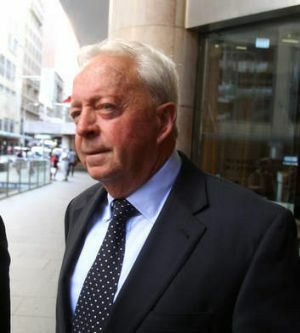 The canny Kinghorn, founder of the defunct Allco Finance Group, sold RAMS home loan business to the sharemarket in 2007. The float went public just weeks before the meltdown in world credit markets and Kinghorn deposited a cool $650 million. 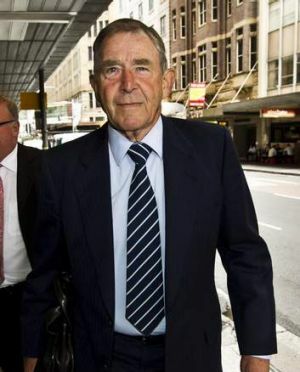 Duncan made half a billion dollars cash when he sold his interest in a coalmine to the Chinese in 2009. The other three also enjoy the resources to withstand any prosecution. McGuigan is a former executive chairman of Baker & McKenzie, globally. He introduced Krispy Kreme doughnuts to Australia. Atkinson is also a former partner of Baker & McKenzie and has substantial business interests. The youngest, and perhaps the ”poorest” of the five, is Poole, an investment banker. Poole is also likely to be able to fund a legal defence for years. But right now, it is the hour of the moral defence. Poole can rely on the ”I’m just the banker” line of excuse. Perhaps he can continue to make a living doing deals, even if behind the scenes. For the others, it may well be the end of their public business life.